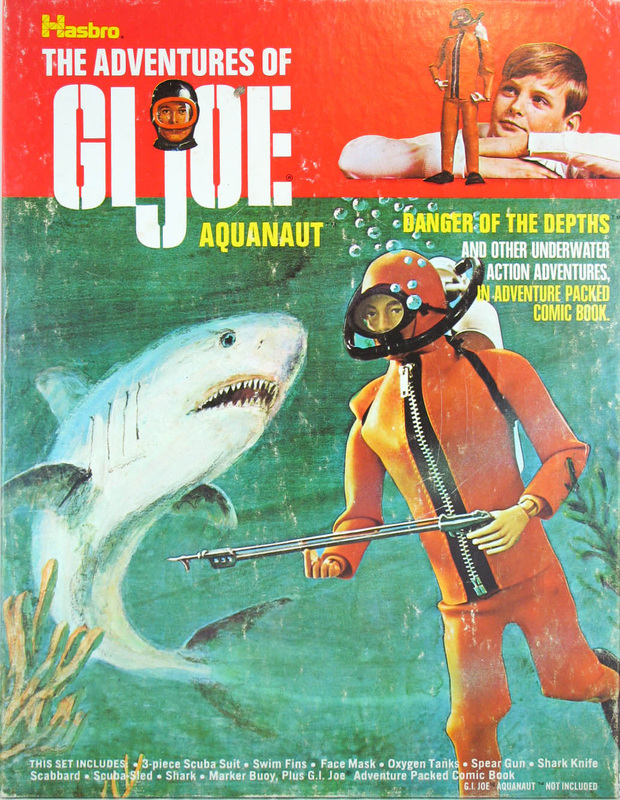 GI Joe investigates a ship wreck and is trapped beneath the surface by a deadly shark. Can he escape before his air runs out? 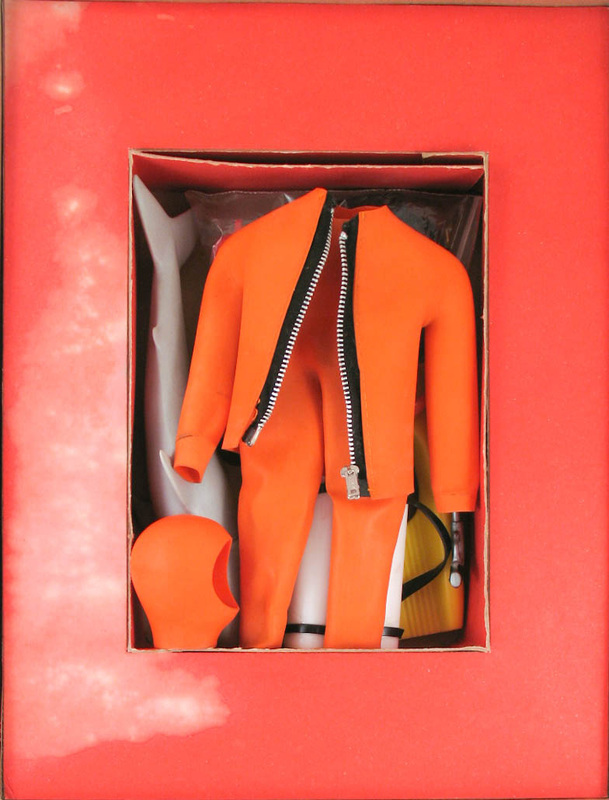 Danger of the Depths (7920) used the orange wetsuit and accessories available in the earlier Air-Sea Rescue and Sea Sled sets. It introduced a reduced size scuba sled with a battery operated propellor unit, a spear gun, and a ferocious rubber shark. It was a popular seller and was available right through to the end of the Adventure Team line in 1976. The red-top box art combines art with product photography. The scuba tanks were molded in white for Danger of the Depths, and the back plate with elastic straps was replaced with heavier straps that attach directly to the tanks. Catalog and box photos show white tanks with the older style back plate, but I have yet to see one available for sale, so this may have been a prototype only. If you can supply an image of such a set, please contact me. Note the paint details on the spear gun. The black grip paint would disappear in the first years of the adventure team, and the spear gun would eventually be totally unpainted. 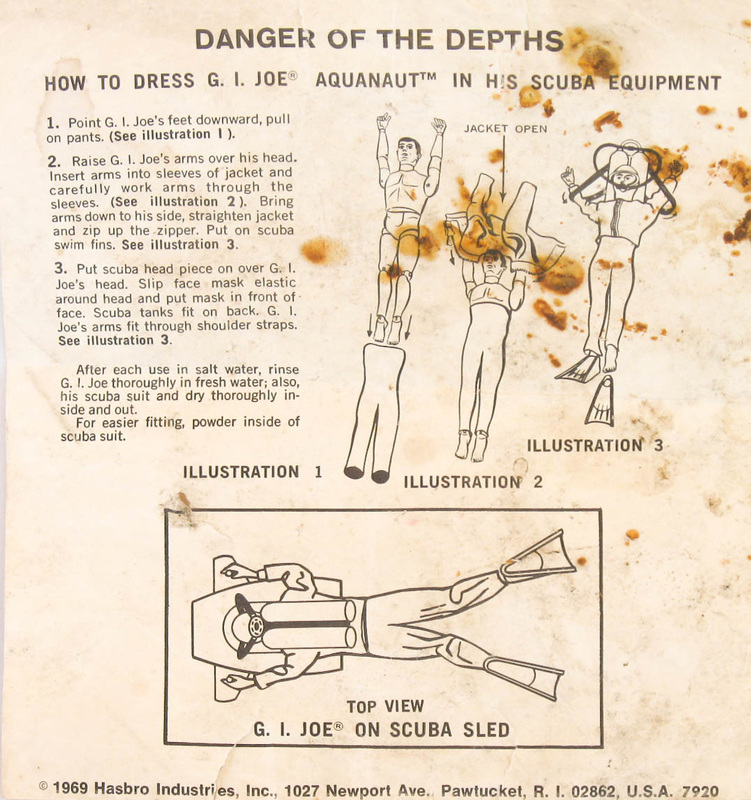 The instruction sheets from these sets are often reduced versions of the same art from the military era sets.